Patronising the Eastern ports would reduce vehicle traffic congestion on Lagos roads as well. The sea ports in Lagos are congested causing avoidable vehicular traffic congestion along Apapa. Meanwhile there are other ports in other parts of the country including Warri, Port Harcourt and Calabar. 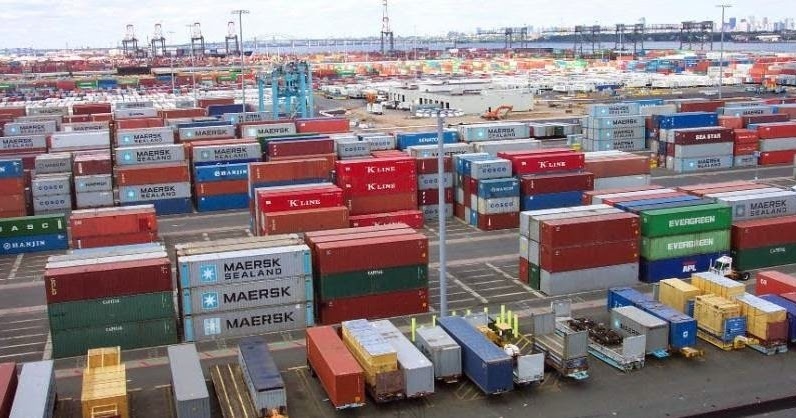 This is why the Nigerian Port Authority, NPA is asking importers and exporters to patronise ports in the Eastern parts of the county to decongest Lagos ports. The NPA’s Managing Director, Mrs Hadiza Bala-Usman, made the appeal at the NPA Special Day at the ongoing 29th Enugu International Trade Fair in Enugu on Saturday. Bala-Usman said that patronising the Eastern ports would reduce vehicle traffic congestion on Lagos roads as well. ‘‘I wish to use this medium to appeal to importers and exporters to patronise the ports in the Eastern flank of the country, namely: Warri, Rivers, Onne and Calabar ports as this will decongest the ports in Lagos,’’ she said. The managing director said that NPA had remained resolute in its drive to ensure that the nation’s ports remain safe, secure and customer-friendly, while delivering efficient port services. ‘‘I am glad to inform you that NPA is implementing with vigour, the Presidential Order on Ease of Doing Business in the nation’s ports. “This is with a view to eradicating all bottlenecks to business transactions in the nation’s seaports. ‘‘We will like port users and stakeholders in the nation’s maritime sector to take advantage of this development,’’ Bala-Usman said.